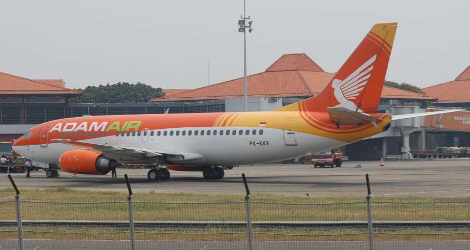 On 11 February 2006, Adam Air flight DHI782 , a Boeing B737-329 registered PK-KKE, operated by Adam Sky Connection Airlines (AdamAir) as flight number DHI 782, was scheduled to depart Soekarno Hatta Airport, Jakarta at 06.00 LT (22.00 UTC) for Hasanuddin Airport – Makassar (Ujung Pandang). The crew of Adam Air flight DHI782 consisted of 2 pilots and 4 flight attendants. There were also three trainee flight attendants, who were qualified Boeing 737-200 flight attendants. They were to be checked by the pilot in command (PIC) during the flight. The pilots did the pre-flight inspection and found that the number-2 IRU had failed. The failed IRU was replaced by line maintenance engineers with a serviceable unit. They tested and aligned the IRUs on the ground and found them to be functioning normally. The PIC reported that the takeoff, climb, and heading changes on track were normal and the FMC was using IRU 1 for inertial navigation data. The recorded flight data showed that Adam Air flight DHI782 started diverging right of the planned track after the Flight Management Computer (FMC) switched to Inertial Reference Unit (IRU) 2. The PIC reported that the divergence was not noticed because cockpit instruments showed tracking towards Makassar (MKS). 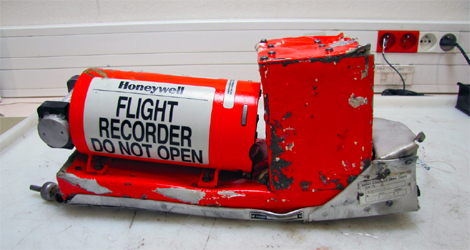 This was confirmed by Flight Data Recorder (FDR) data. The pilots became unsure of their position and while attempting to establish their location saw an airport and elected to land. The aircraft landed safely and none of the occupants were injured. Evidence gathered during this and a subsequent accident investigation conducted by the NTSC showed repeated IRS malfunctions that went unresolved for many months. The aircraft’s transponder was working normally and showing the assigned radar identification. The radar replay showed that Adam 782, the target aircraft was still captured by radar (on the screen of Bali Center and Bali East) during the time the pilots reported loss of navigation. However, due to a lack of appropriate coordination between the controllers, they had a degraded awareness of their areas of responsibility. The investigation found that Adam Air flight DHI782 deviated more than 10 miles, but the radar system did not generate a Route Adherence Monitoring (RAM) warning, so the controllers were deprived of the warning that the aircraft had diverged a significant distance from the planned track. At the time of serious incident, the RAM data was incorrectly set to 20 miles for airway W 52. The RAM trigger was required to be set to activate with a divergence of not more then 10 miles. When the aircraft target on the radar screen changed to radar track, the controller did not recognize it, because the colour of the symbol did not change to green. Therefore, the controller considered that the target was beyond his jurisdiction. The radar controllers had not received the specified training in the MAATS. There was no Standard Operating Procedure for the MAATS. 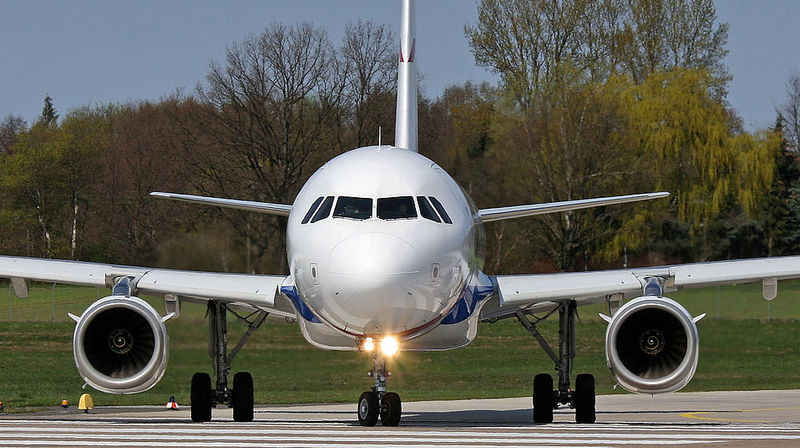 The aircraft’s IRS malfunctioned resulting in the IRU providing erroneous and misleading navigation indications. The on-board navigation displays showed that the aircraft was on the planned track. The pilot in command diverted his attention from the operation of the aircraft to conduct unauthorised testing of a flight attendant. The MAATS Route Adherence Monitoring (RAM) data was incorrectly set to trigger a track divergence warning when an aircraft diverged 20 miles instead of 10 miles. The radar display did not show the divergence, so it was not evident to the controllers that the radar track and flight plan track had separated by ten miles or more. When the aircraft target on the radar screen changed to radar track, the controller did not recognize it, because the colour of the symbol did not change to green. Therefore, the controller considered that the target was beyond his jurisdiction.